Xolo Q700 Review: 9100 Rupees can get you this! Xolo Q700 Review: INR 9k can get you this! The Xolo Q700 is another Xolo Smartphone which has the potential to be your next gaming phone. Costing INR 9100 in the local market, it is cheaper than many of the big players’ smartphones but offers many lucrative features. The Q700 is a tad cheaper than its bigger brother, the Xolo Q800 but they don’t differ much in performance. The Q800 has an 8MP camera while the Q700 has a humble 5MP sensor. The most notable features of this phone are the IPS display with OGS (One Glass Solution) tech and the notification LED. Other worthy alternatives in the price segment of 7-10k INR are Samsung Galaxy S Duos, Samsung Galaxy Fame, Samsung Galaxy Young, Sony Xperia E, Nokia Lumia 520, Micromax Canvas 2, Karbonn Titanium S5, Xolo Q600 and Lava Iris 458Q. The Q700 has a rubberised back panel providing a very good grip. 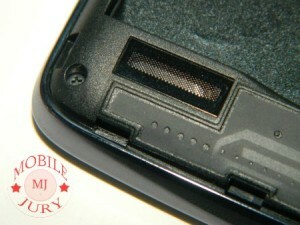 The sides of the phone are protected by a wide chrome plated bezel. 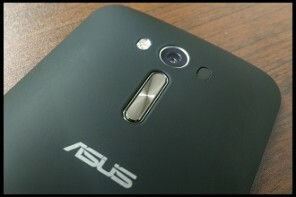 The rear cam is also protected by a thin chrome bezel. As far as the build quality is concerned it looks like this phone will not let you part with it at least for the next 15-20 months. The notification LED, ambient light sensor, proximity sensor and the front camera are all located to the left of earpiece grill. You might believe that the local Indian manufacturers are too lazy to make their own custom android skin or you can just enjoy the slightly customized stock android flavour. On the functional side of things, touchscreen and the capacitive buttons are very sensitive and responsive. The zippy fast UI leaves no place for lags. All of this combined brings about a very pleasant android 4.2 experience. The Xolo Q700 boasts an IPS LCD qHD (540 x 960 pixels) display with OGS (One Glass Solution) technology having pixel density of 245. It is very sharp to look at and doesn’t loses colors and contrast even when viewed from angles- thanks to OGS tech. The sunlight legibility is not a problem at 50% display brightness. Also it easy to handle to touchscreen using only a single hand. The credit goes to the design of the phone which sports a 4.5 inch display but still doesn’t make it uncomfortable to use for people with small hands. The loudspeaker can easily be heard in traffic. I am not saying that you can use to show off your favourite track to public but it is loud enough for your ears to notice that it might be your phone that is ringing. The default audio player has standard options like shuffle and repeat. The equalizer can also be adjusted according to your needs. It supports all of the popular audio files (.mp3, .aac) except .wma file formats. The stock video player also supports all of the famous video formats (.avi, .mp4, .flv and .mkv) till 720p. The 1080p i.e. the full HD videos can’t be watched using the stock video player. But who cares, when music player apps like MX Player exists. Typing is as easy as a pie in both landscape as well as portrait modes. The in-built dictionary does a fine job at prediction and thus eliminates the need for you to type full words each time. If you are good at speaking English then you can take this text input experience to a next level by using voice dictation. Of course, it requires internet access. There is a 5MP BSI sensor at the back which can capture your precious moments with a resolution of 2560×1920 pixels. It also supports Auto Focus and an LED flash to assist it in low/no light conditions. The captured images look respectable when you get to know that they are taken with a 5MP camera. In our quality check we found that the photos are slightly dull in color and have average details and brightness. The HDR shot can be used to capture more details but results in washed out images. The panorama shot is unable to produce detailed and colourful images. Undoubtedly, the stitching is hopeless. I have found that only expensive phones produce good panoramas. The main camera can shoot videos in 720p resolution. The HD video shot by this 5MP camera looks pathetic and lacks in details. The colors are good so may be you should shoot the video at some lower resolution, say 480p. The front cam on the other hand can capture video at a lowly resolution of 176×144 pixels which is good for nothing. Hey, don’t scorn this front cam yet. You can use it to do make-up. The low-light sample that we’ve uploaded you’ll notice that the colors look more natural when the flash light is off. The noise cancellation does its job properly but takes its toll in the form of minute details. The quad-core processor and the PowerVR GPU make sure that the user experience is smooth and lag free. Games like Temple Run Oz and Subway Surfer also run without delays or lags. The on-board 1 GB RAM will keep power-users happy and will give you no chance to complaint about the performance. Sadly, there is no option to restart the phone. The Xolo Q700 comes with just Facebook, Kids Tube, Xolo Switch, Xolo Power, Xolo Care and Xolo Secure app. It leaves more space on the internal storage so that you can install even more of your favourite apps. The connectivity options include dual SIM support (3G+GSm), HSPA+, A-GPS, Bluetooth, Wifi with hotspot and WiFi direct. The 2400 mAh Li-Po battery will power up the phone for a single day at auto-brightness. Xolo has also pre-installed a special Xolo Power app which can help conserve the battery juice even longer. The battery doesn’t heat up, at least not perceptibly. Alike the other Xolo phones, the Q700 is also a good value for money phone. It has its own ups and downs but you wouldn’t regret buying it unless you are looking for a good camera phone. 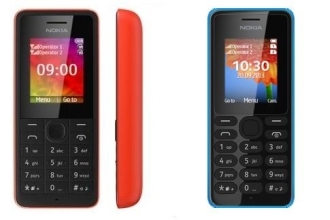 Microsoft Launches Nokia X2 In India, Finally. i am confused betweeen Q700 and q800. which one is better? If you can buy Q800, then don’t think twice. It’s an awesome phone. Could you let us know upto how many fingers the multitouch support is there for Xolo q700? Also, how would q700 stack up against Panasonic T11? Both of them seem to be almost same (specs wise) except for the Screen size of 4 and 4.5″. These days 5 point multi-touch is becoming the standard and some high end devices support upto 10 point touch. It is becoming more of a marketing trick. Xolo Q700 supports 5 point touch support. Sir i nead a really good phone for gaming and camera and over all perfomance which is value for money in price segment of 8k to 14 k? 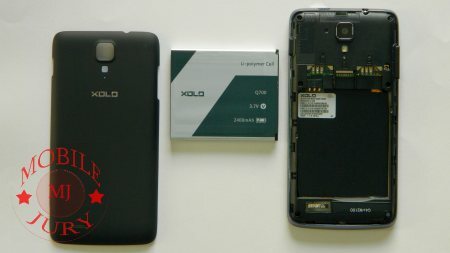 are xolo phones better than micromax and they have service centers in mumbai? Q800 is the best option. You will have to confirm in your specific area, but generally the service of micromax and all lava/xolo are equally bad. Can you please suggest which is good phone below 10k with all required features like phone call, response time, good screen etc..
Our pick would be the Xolo Q800. Just make sure you have decent service in your area. Which is more sturdy? 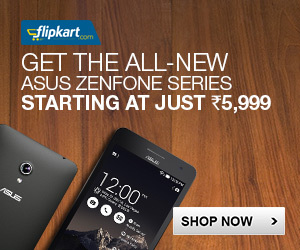 Panasonic T11, Galaxy S7562 or Xolo Q700. I found Xolo Q700 to be more sturdy than the Galaxy S duos and Panasonic T11. There is an option to restart this phone, just press the power button and select reboot. I have used this option several times and it works. Please update your review. Which android version are you running and have you installed any firmware updates? Because in the unit we tested, there was no such option. 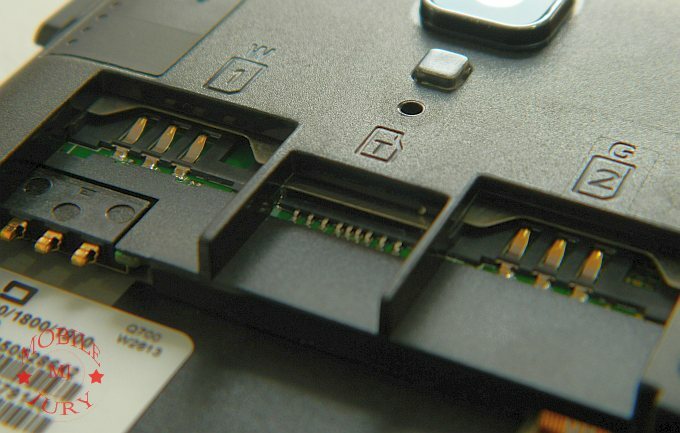 Which chipset does your Q700 has? Is it 6589M or something else? 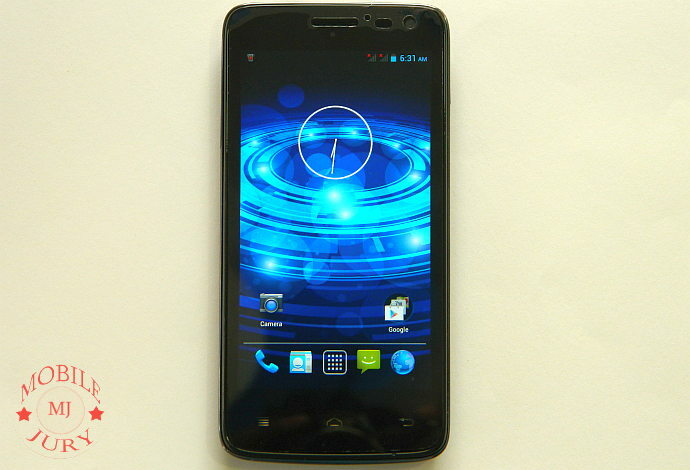 I am using the Xolo Q700 for more than 3 weeks now. It does have the option to Reboot. Press and hold down the power button on the right and ther it is. I have updated the stock Android using the Software Update option available. Am not sure why diff apps are showing diff numbers for the Mediatek chipset. It might be that these apps are not up to the date with CPU information. I have read some where that you can not install and move apps in memory card and all internal memory in non-specific means you can install apps aor record movies in all available internal space. Is that true??? The internal memory of Q700 is reserved for many things. Though you can use an app called “app2SD” which will help you to move the applications from internal memory to the external memory. Though all the apps from internal memory cannot be moved. You can root to customize many things and can free up the internal memory. But after rooting the phone the company will not provide any further support if needed. It looks like a very good phone. My only concern is that according to user reviews on GSMarena, the battery of this phone swells up after 6 months and it’s very very difficult to get a replacement. So in effect, you pay 9k for a phone that works only 6 months. In terms of life/durability do you expect the newer q700s to be better, or should i be looking at other companies? 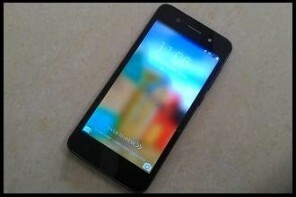 How is Gionee (pioneer p3)? We haven’t tested the Q700S yet so we cannot give our verdict about it. If you are in a hurry then you should look at other branded options.